Its Getting Cold!!! 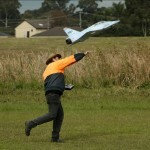 | Parramatta Radio Control Aircraft Club Inc. It was a cold but calm day down at the field, Winter is well and truly setting in!